The CEDULA during the Spanish colonial period, was an identification card and residence tax certificate that had to be carried at all times. A person who could not present his or her cedula could be arrested and imprisoned by the Guardia Civil. 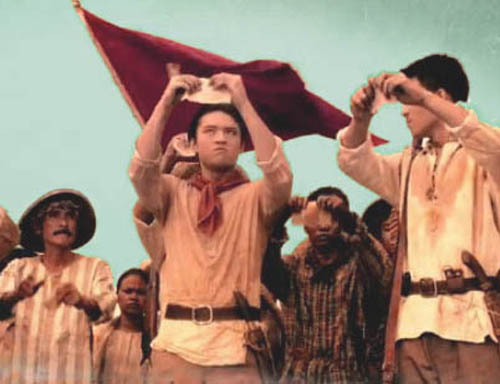 On August 23, 1896, a crowd of katipuneros was gathered around their Supremo, Andres Bonifacio, in Kangkong, Balintawak. Bonifacio spoke of how the secret organization had been betrayed to the Spanish authorities and warned of the dangers they all now faced. Armed revolution against the Spanish colonizers was the answer, someone suggested, and the Katipunan should start it. A few members disagreed but were outvoted by the rest. The crowd shouted their approval. They tore their cedulas and declared themselves free from Spain. 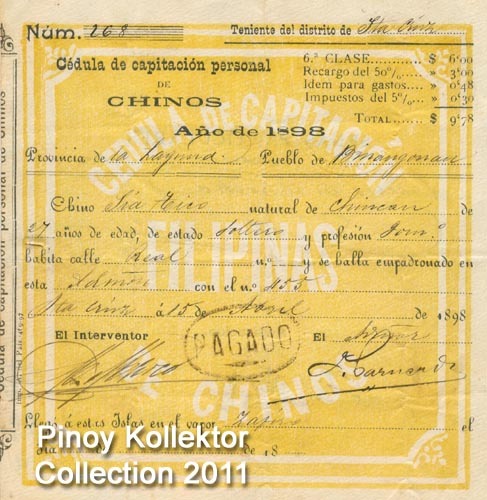 The cedula had until then been the people's only passport to freedom in their own country. The air rang with the people's jubilant cries: "We are free from slavery!" "Long live the Tagalogs!" The katipuneros decided to wrest Manila and the Tagalog region from the Spaniards and achieve final and lasting independence for the nation. The attack on Manila was set for midnight of August 29. Here are samples of cedulas during the Spanish and American wars. Source: 100 Events that shaped the Philippines by Adana Book Service and National Centennial Commission. What is at the back of this sample sedula? There is nothing to see at the back of the cedula. wow..so amazing...talagang naitago nyo pa!..Isa itong nkakamanghang bagay lalo na sa mga kabataang katulad ko ..so nice..
Greetings from Abiva Publishing, Inc! Abiva is a Philippine publisher for textbooks in basic education. We are currently in the process of securing permission for the materials that will be used in our History textbook entitled Kamalayang Panlipunan 7. Our author would like to include in this book, the photo of cedula featured in this blog entry (as seen in http://2.bp.blogspot.com/-uqi1AmH_Bb0/TkOE6JUPpqI/AAAAAAAAAc8/-xmusq9njUY/s640/Cedula-Zambales+copy.jpg). In light of this, we respectfully ask for your permission to print and reproduce the photo being referred to in the link provided. We sincerely hope for your favorable response to our request. Please send us your reply stating your permission and/or other conditions we need to comply with. For further inquiries about the textbook, you may call me at: 7120245, or email me at: abivabookdev.kp@gmail.com, respectively. Sure you can use my photos for your text book, It would be an honor if my one collection would be featured in your book . If you need a photo without watermark I can provide you one. I would appreciate it you will give credit to my site. 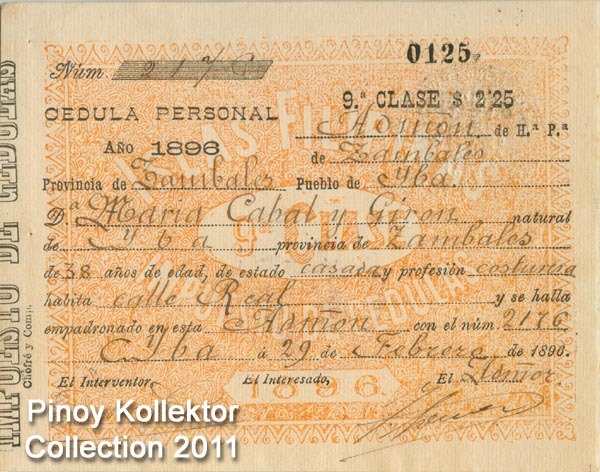 Can I use these cedula for my diploma as sources? 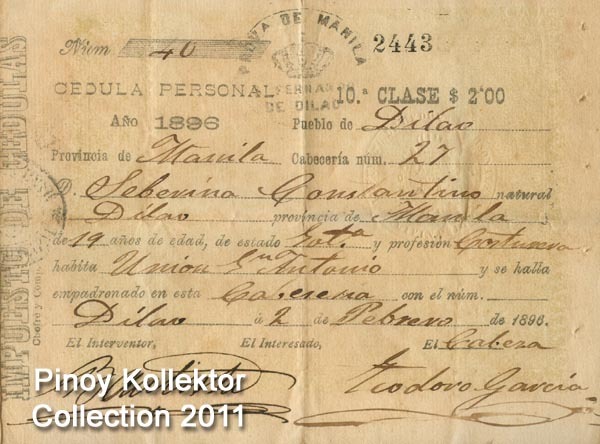 I have a 1905 cedula of Julian Felipe with signature.. Any buyers interested? 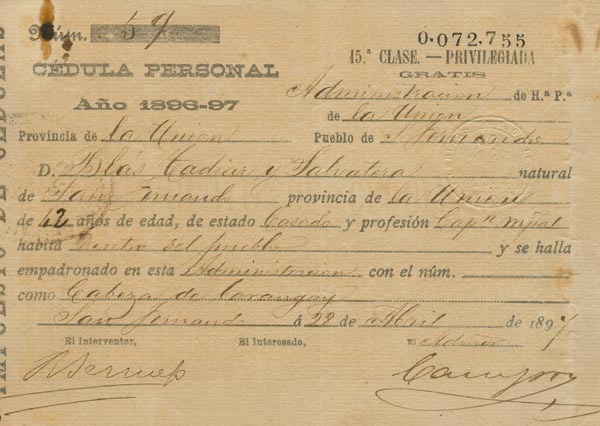 what is the Importance of Personal Cedula during the Spanish era? Hello, I wonder where I could research on the cedulas of my ancestors in Dagami, Leyte? Does the National Archives have these records? I would like to ask for your permission to use the images above as reference for the Readings in Philippine History modules that I have been doing. 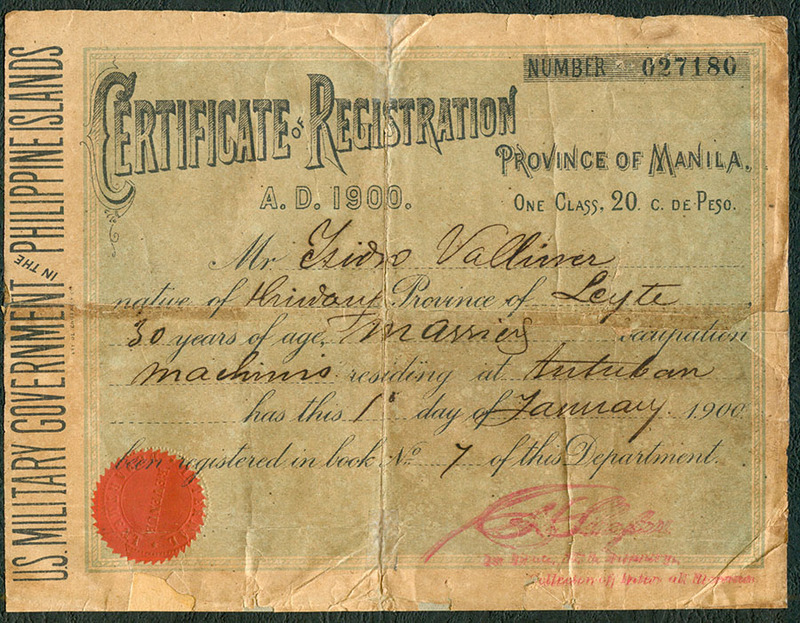 We would gladly cite this site and give credit to the images we would like use, specifically the 1900 Certificate of Registration used by the US Military Government in the Philippines, and the 1896-1897 Cedula Personal issued in San Fernando, La Union. I hope for your favorable response. Should you need to contact me, please email at gebasan@up.edu.ph.